Former reality TV star Honey Boo Boo is back with her first rap music video. Yes, you read that right. A Honey Boo Boo Bop. The 10-year-old, whose real name is Alana Thompson, teamed up with viral video artist Adam Barta to create a brand new rap song titled "Movin' Up." "Started out as a pageant queen, then on TV doing my thing. Now movin' up in the world, new fun times with my girls." "Honey Boo Boo Bop. Do The Honey Boo Boo Bop. Honey Boo Boo Bop. Do The Honey Boo Boo Bop." The video also features cameos from June "Mama June" Shannon, Honey Boo Boo's sister Lauryn "Pumpkin" Shannon and father Mike "Sugar Bear" Thompson, who really gets down to boogie in the video. 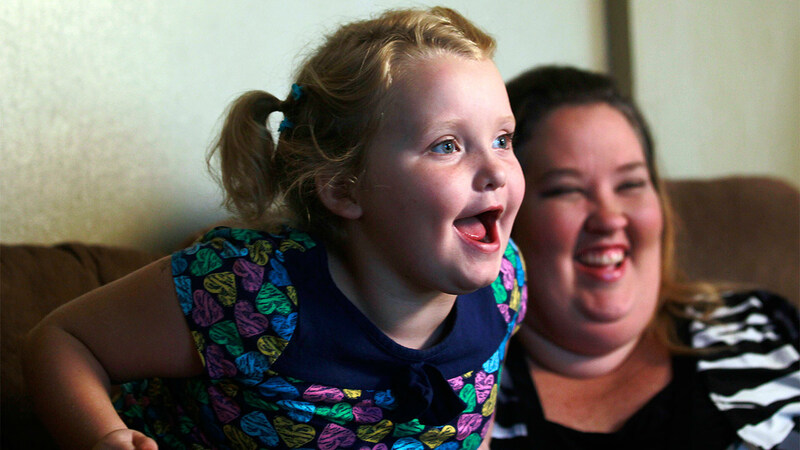 Honey Boo Boo rose to fame on the show "Toddlers and Tiaras" which launched a second TLC show "Here Comes Honey Boo Boo." That reality TV show went off the air about one year ago.